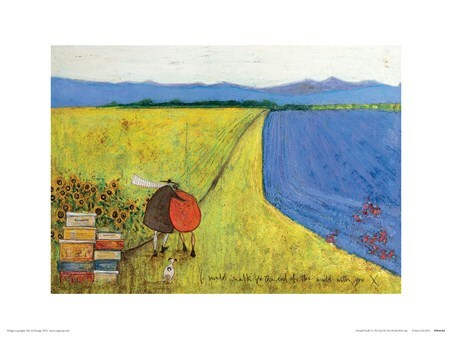 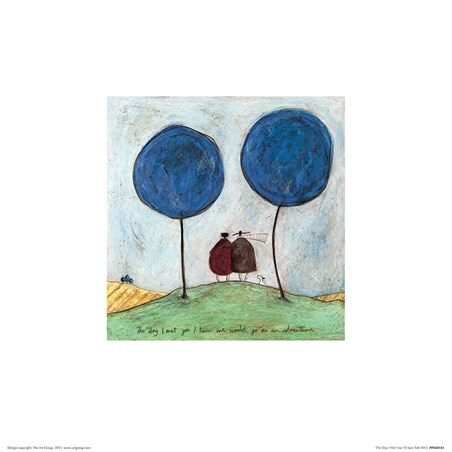 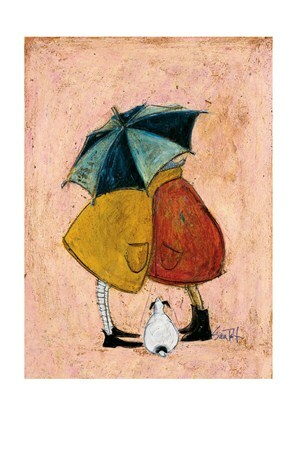 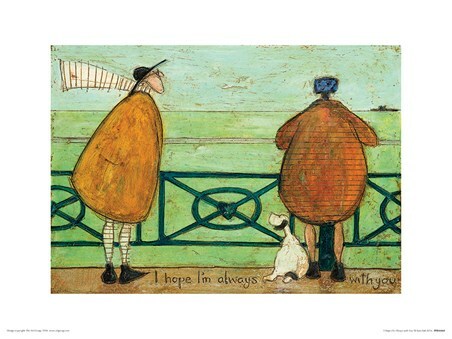 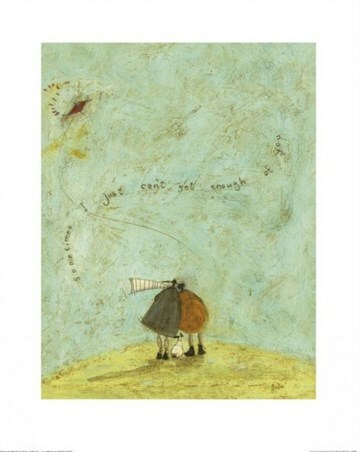 Art Print: Ernest Hemingway and his adorable wife appear once again in yet more of Sam Toft's charming artwork. Here they are seen walking together through a colourful green field with the blue sea lapping at the edge, as Ernest wraps his arm protectively around Violet. 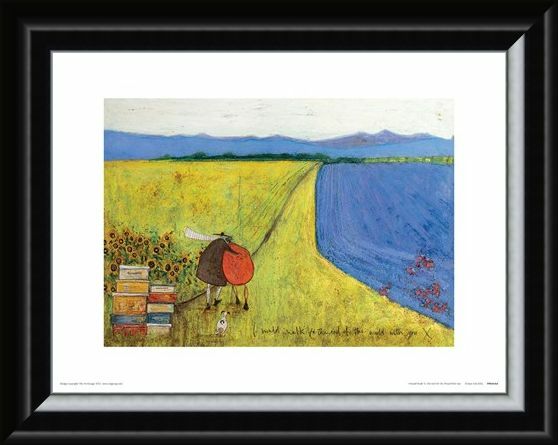 A gorgeous array of yellow sunflowers can be seen flourishing beside them, while their trusty pet dog walks along happily behind the couple. This will instantly add a touch of summer to your home. 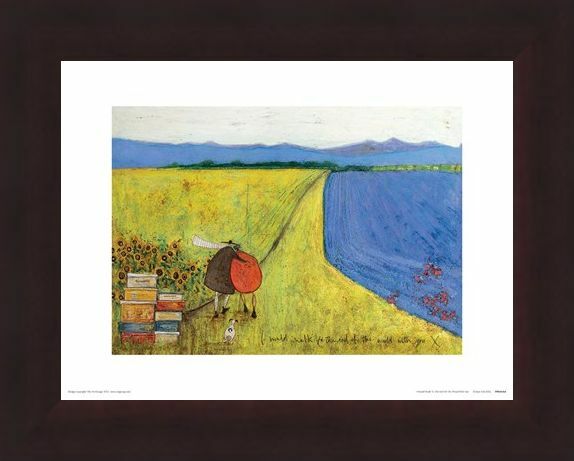 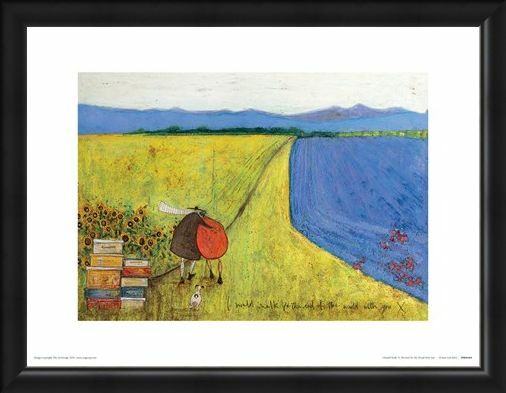 High quality, framed I Would Walk To The End Of The World With You, Sam Toft print with a bespoke frame by our custom framing service.